Today marks one year since the NSW government backed away from its promise to put a stop to greyhound racing. In this time 88 dogs have died at race meets across the state, while hundreds more have suffered catastrophic injuries, according to Greyhound Racing NSW Stewards Reports. Around one in 10 race meets result in the death of a dog. The industry also continues to breed thousands of greyhounds, around 40 percent of whom will be killed before they’re even named. It is estimated that another 18,000 greyhounds are killed every year in Australia – simply because they aren’t deemed fast enough to win races. Eight thousand of those killed are puppies. 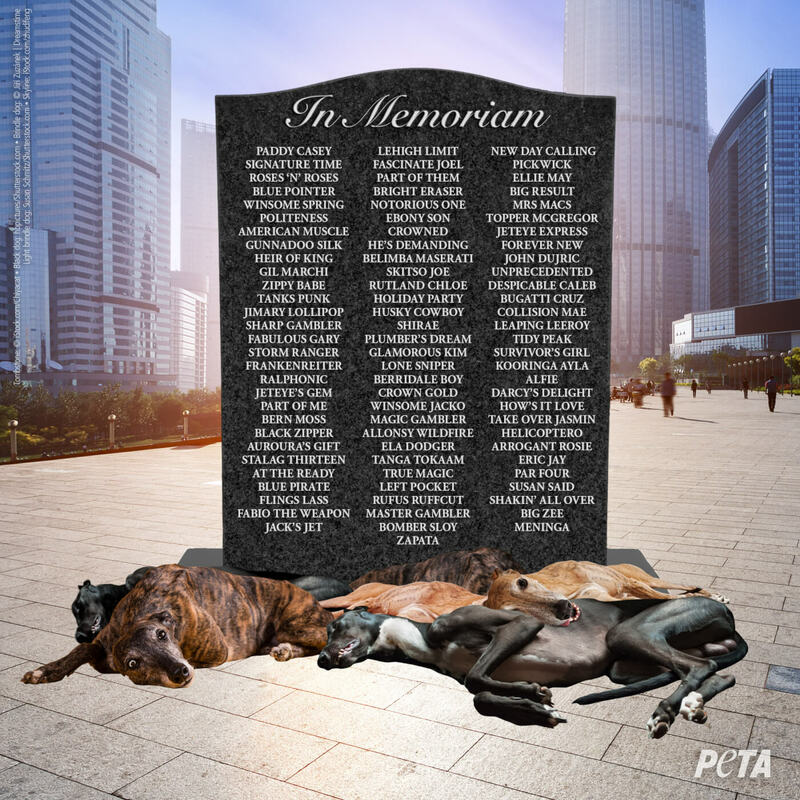 PETA has written to Premier Gladys Berejiklian asking for approval to erect a tombstone memorial on Macquarie Street, near Parliament House. The tribute would name every greyhound who has died on New South Wales racetracks since the government reneged on its promise to protect them. 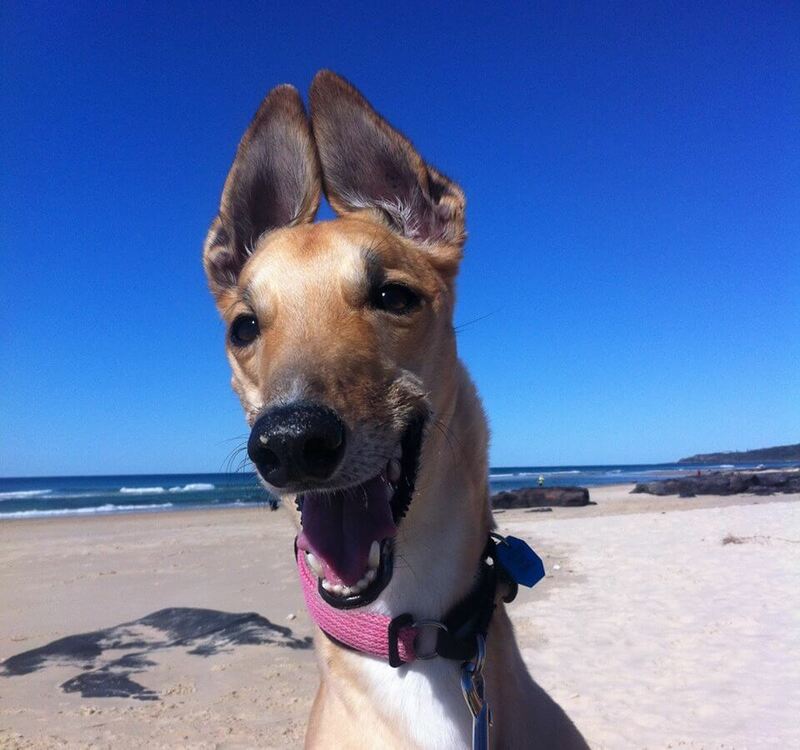 Greyhounds in New South Wales should all have been retired to loving homes by now, instead of being kept in cramped cages and kennels and forced to run for their lives. This memorial will act as a daily reminder to politicians of the suffering that could have been prevented by simply banning this cruel and unjustifiable industry. If you are ready to make the commitment to a new best friend, why not give a home to a greyhound who has been discarded by the industry? It’s now more important than ever that we stand together and send a strong message that the Australian people will not tolerate any kind of animal abuse. Stop South Australian Greyhound Race Track Development Now!